There is an interesting story in the news this morning. Sales of E85 fuel have steadily increased at both Longmont gas stations that are selling the alternative fuel. No real big surprise here since E85 is quite a bit cheaper than regular gasoline at the moment. According to the Energy Information Agency (EIA) the national average for a gallon of unleaded regular was $3.284 on 3/17/08 while the Ethanol Promotion and Information Council (EPIC) is reporting the weekly average for E85 at $2.57 per gallon. And I am sure that as the price of gas gets higher sales will continue to rise. But the part that I found most interesting is the percentage of E85 sales. 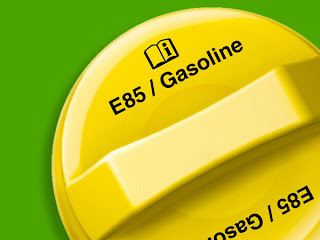 Sales of E85 now make up about 10 percent of the store’s total fuel sales, excluding diesel, Shellhorse said. That’s up from the first month, when E85 sales made up about 1 1/2 percent. Since Flex Fueled Vehicles only make up about 3% of the total light duty vehicles on the road, simply converting existing customers to E85 should only net about 3% of sales. To reach 10% of sales, E85 must be drawing new customers to the station. Bet the competition hates that.